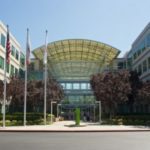 Turns out former Apple CEO John Sculley was right when he said Apple was going through a significant change in terms of product cycles, and was after reducing the product release cycle to six months, at least according to Brian White, a Topeka Capital Markets analyst (via AppleInsider). After checking his industry sources at CES, he reinforces an earlier rumour reported by the Japanese blog Macotakara, saying the fifth-generation iPad and the second-generation iPad mini will debut in March 2013. Obviously, we can expect Apple to continue its innovative work, so the iPad 5 will be thinner and lighter, although not as thin and light as Macotakara says. An interesting addition to this rumour has come from White’s sources claiming the fifth-generation iPad will feature a new A6X processor and Apple’s smaller Lightning chip, while the iPad mini will feature a faster processor. His sources don’t mention a Retina Display for the iPad mini, which will carry the same form factor, but we’ve already heard that Apple is testing new technologies to both cut the costs and bring the best customer experience and meet customer demand at the same time. 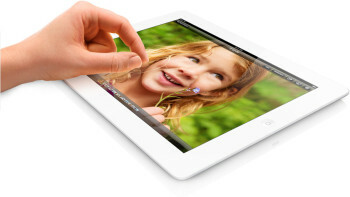 New display technologies would make the iPad mini with Retina display a reality and help Apple conquer the iPhone 5 touchscreen sensitivity issues, which are allegedly the result of the in-cell technology.